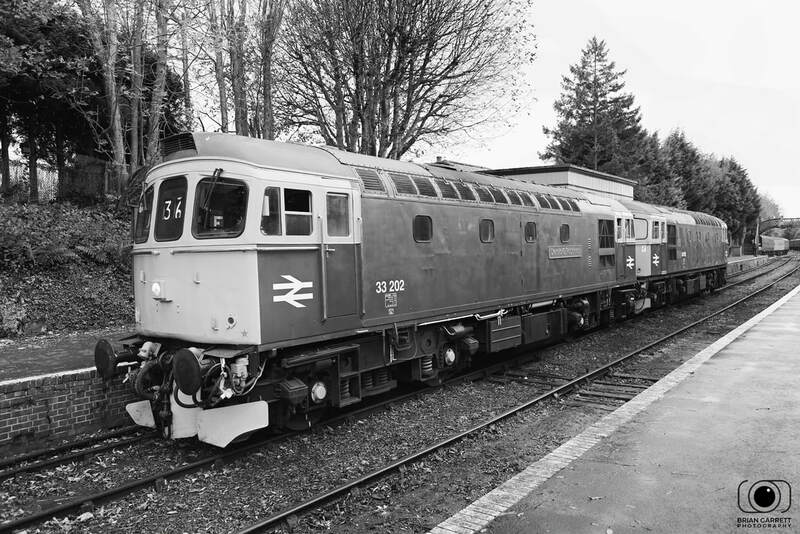 Home Fleet: Class 33 No. 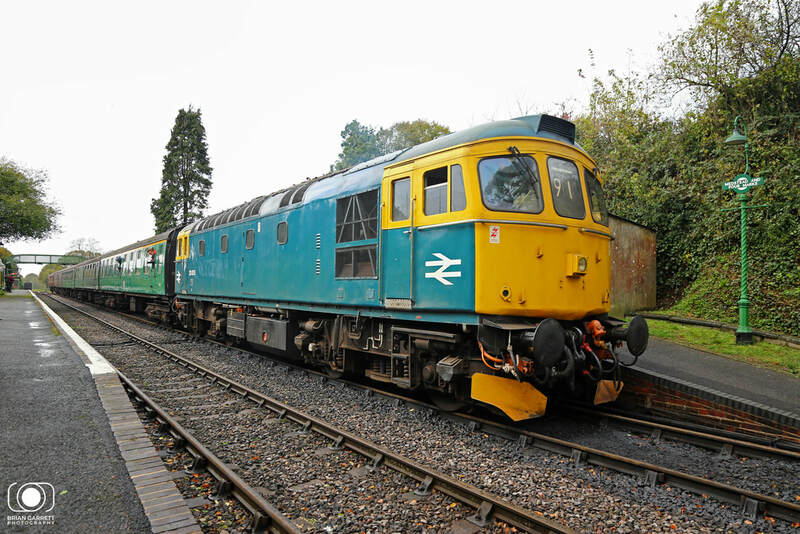 33053, Class 50 No. 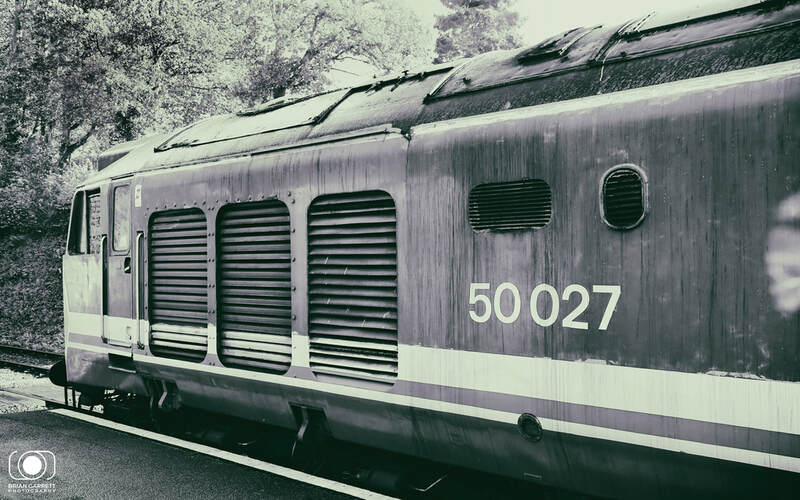 50027 ‘Lion’ and 2H DEMU No. 1125. 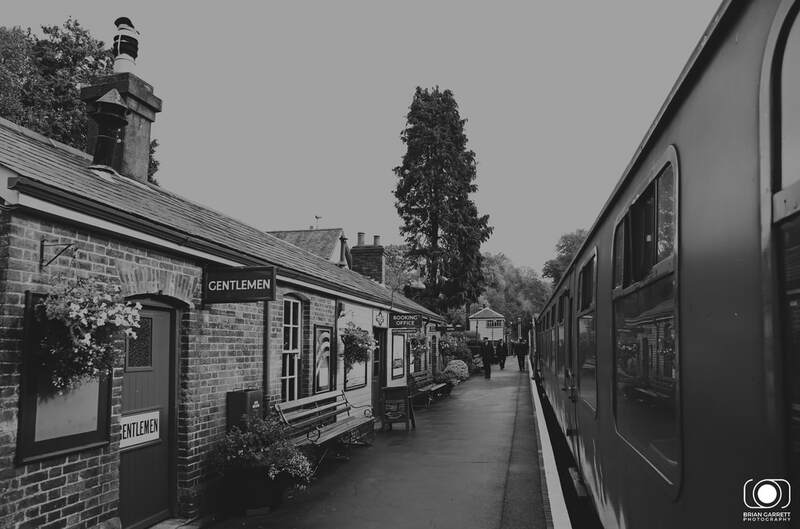 A general view of Ropley Station during the 2017 Autumn Diesel Gala. 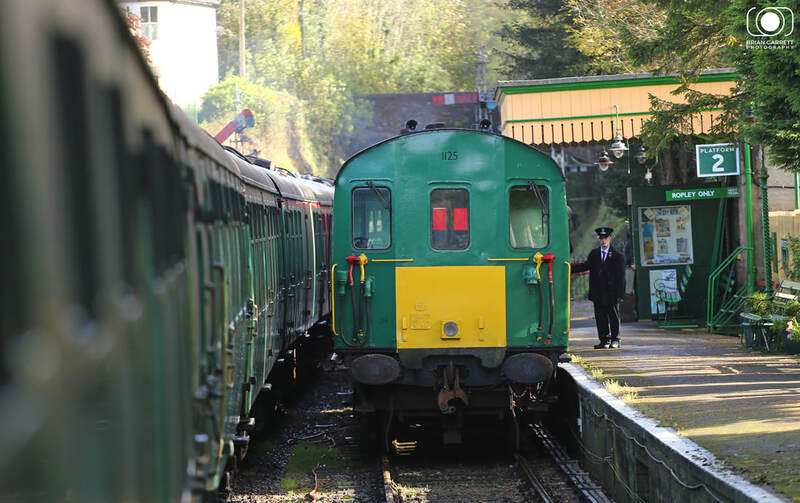 Hampshire DEMU No.1125 (205025) stands at Alresford Station on the 21st October 2017 during the 2017 Mid Hants Diesel Gala Weekend. 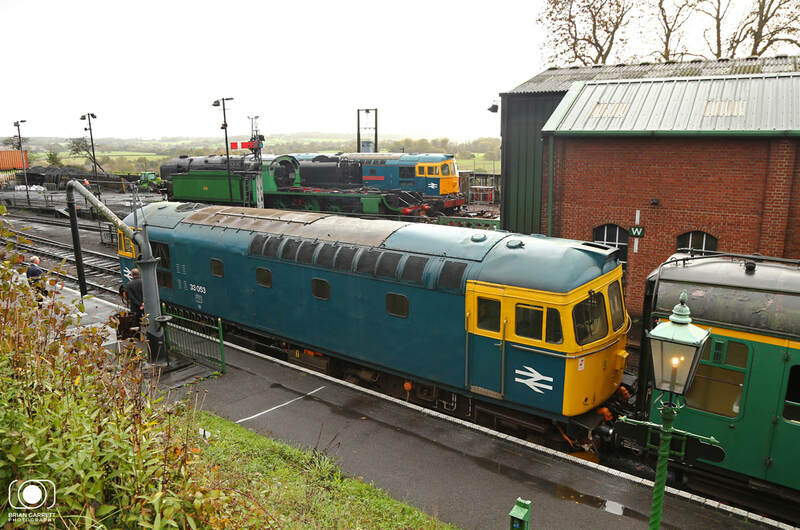 Former Hampshire Unit No.1125 (205025) is pictured at Ropley during the 2017 Mid Hants Diesel Gala weekend. 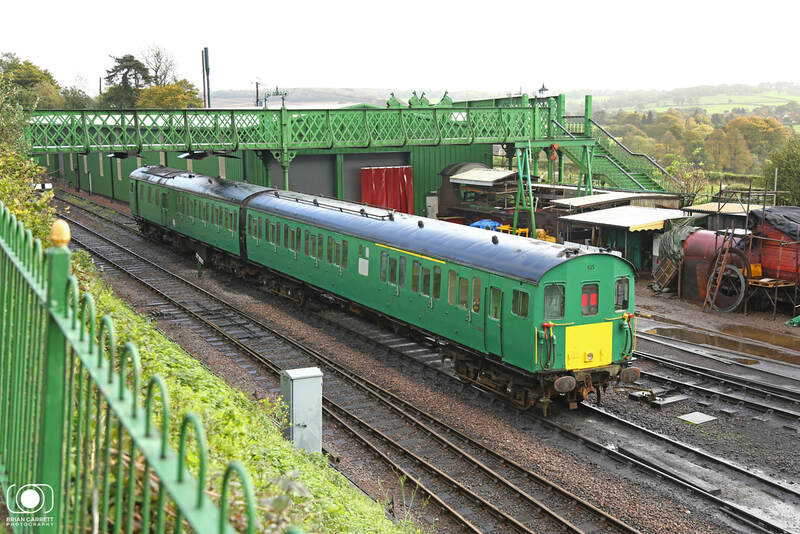 Class 205 Hampshire Unit No.1125 (205025) arrives into the yard at Ropley having arrived with the 10:15 service from Alresford. 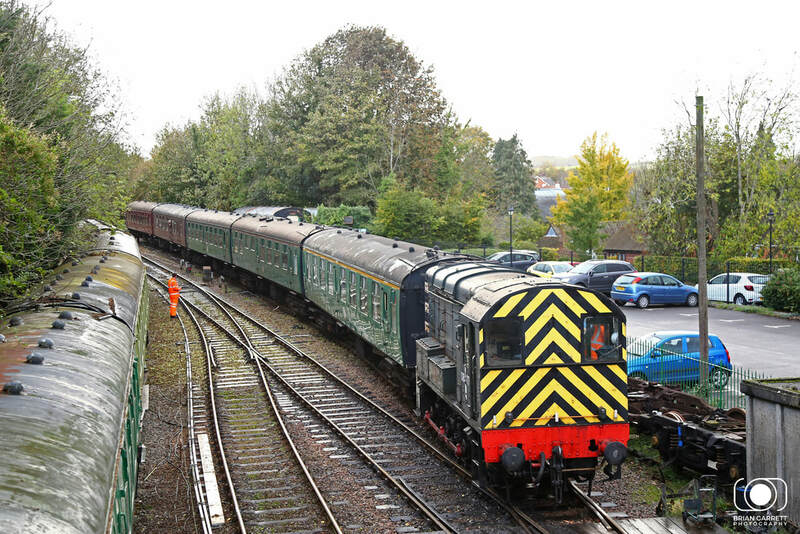 BR Green Class 08 No.08377 shunts coaching stock into the sidings at Alresford Station during the 2017 Diesel Gala Weekend on the 21st October 2017. 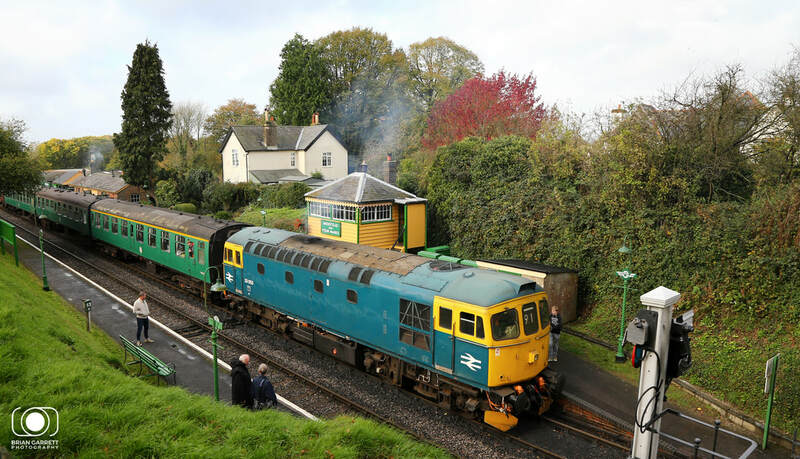 BR Blue Class 33 No.33053 stands at Meadstead and Four Marks hauling the 09:45 Alresford - Alton service during the 2017 Mid Hants Diesel Gala on the 21st October 2017. 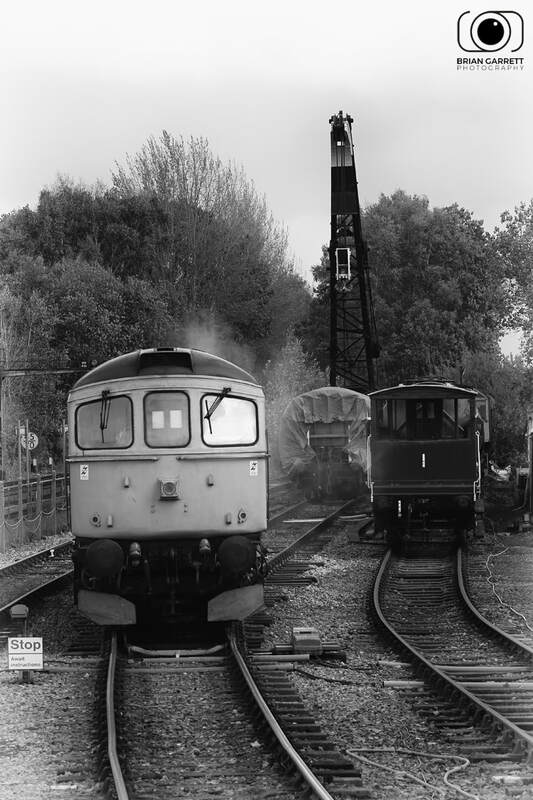 BR Blue Class 33's No.33053 and No.33202 stand at Ropley on the 21st October 2017 during the Mid Hants Diesel Gala. 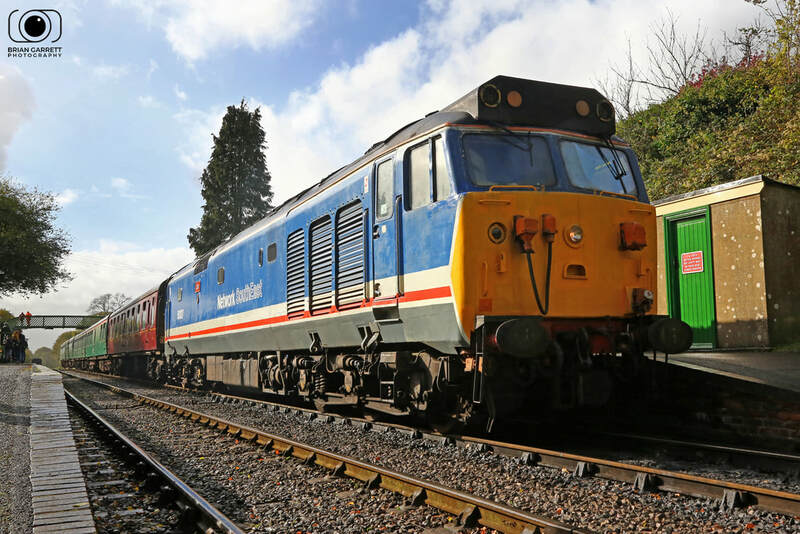 BR Blue Class 33 No.33053 arrives into Ropley Station on the 21st October 2017 hauling the 09:45 Alresford to Alton service during the 2017 Diesel Gala Weekend. 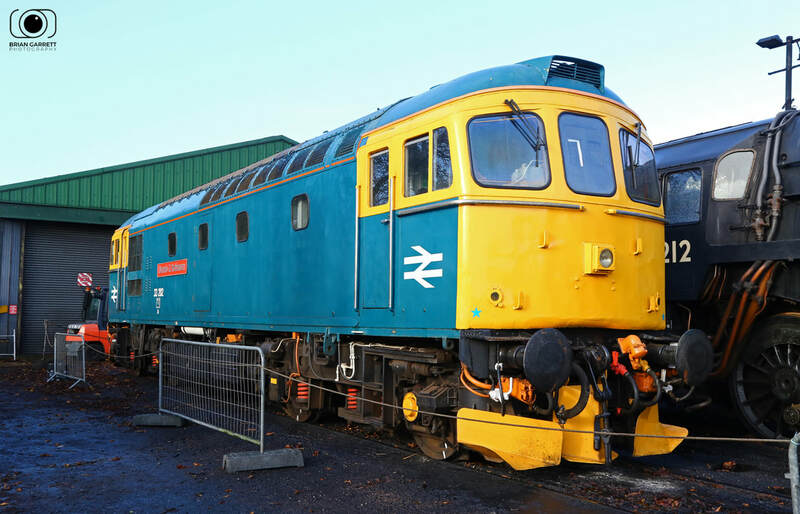 BR Blue liveried Class 33 No.33202 stands in Ropley Yard on the 21st October 2017 during the Mid Hants Railway Autumn Diesel Gala. 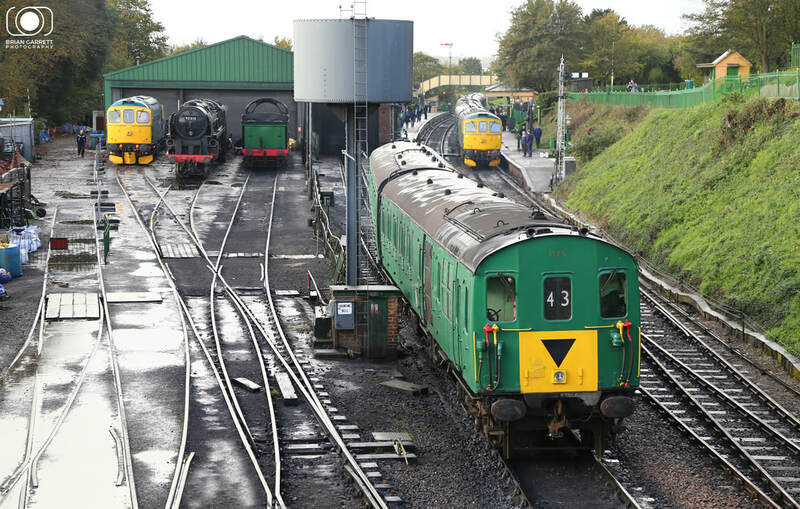 Evoking memories from the Exeter - Waterloo services, BR Class 33's No.33202 & No.33053 arrive into Ropley working the 13:45 Alresford - Alton service passing Class 50 No.50027 'Lion' working the 13:30 from Alton to Arlesford on the 21st October 2017. 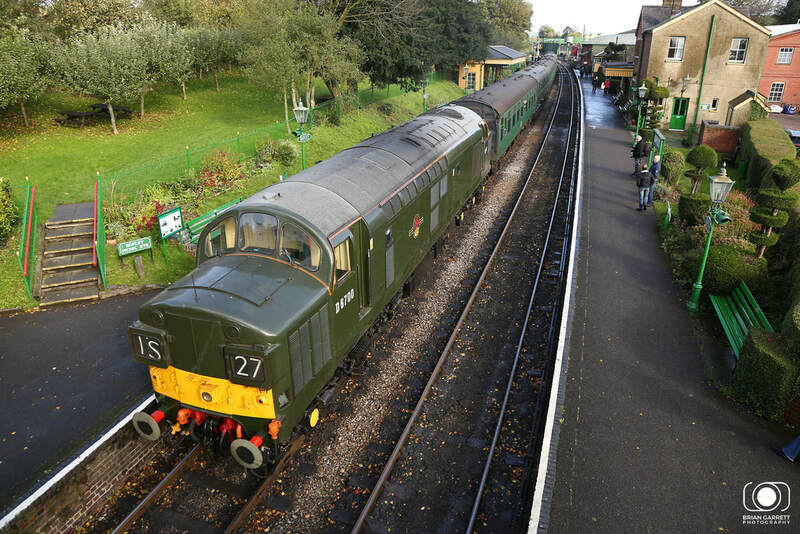 BR Green Class 37 No.D6700 (37350) is seen coupled to the rear of the 12:25 Alrsford - Alton service on the 21st October 2017. 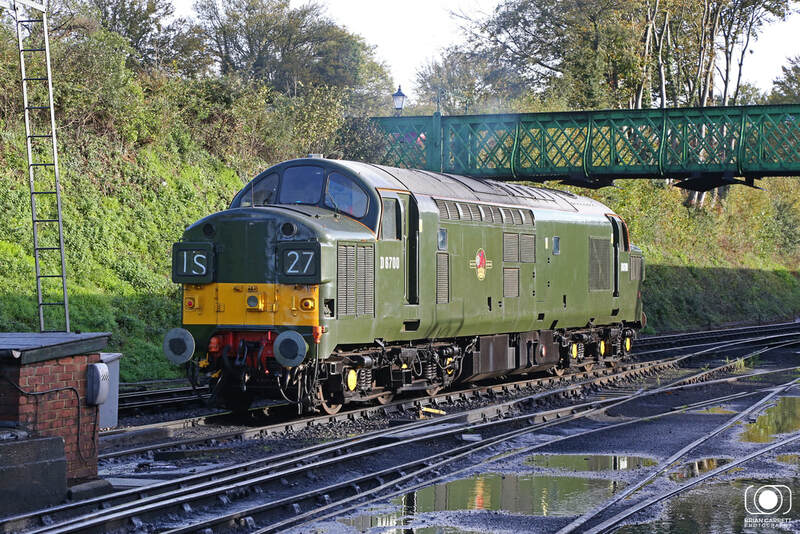 BR Green Class 37 No.D6700 (37350) stands at Ropley on the 21st October 2017 between duties at the October Diesel Gala. 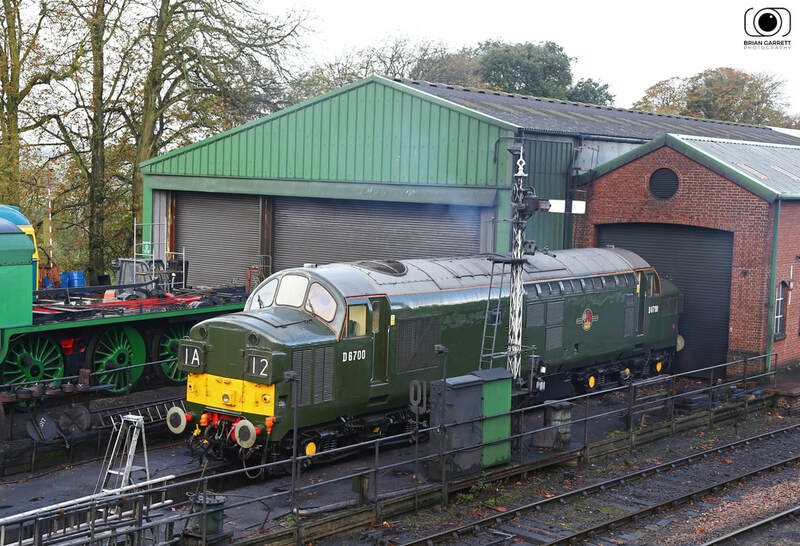 The National Railway Museum's Class 37 No.D6700 (37350) shints out of of Ropley year ready for its first service of the day on the 21st October 2017. 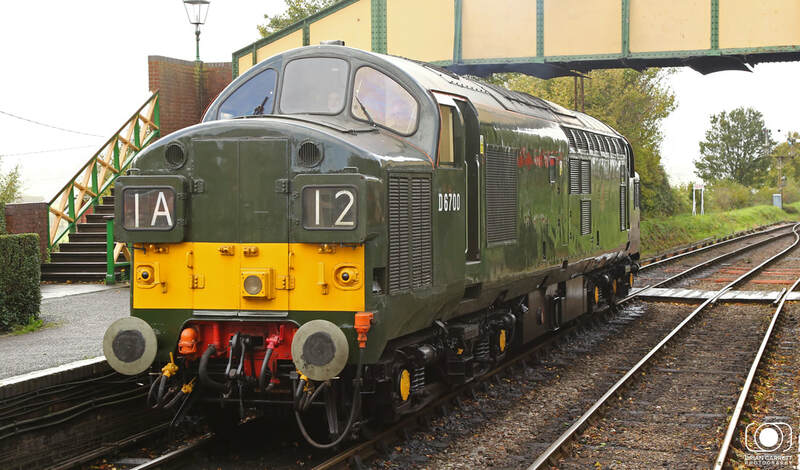 BR Green Class 37 No.D6700 (37350) passes through Ropley Station on route to stable on depot on Saturday 21st October 2017. 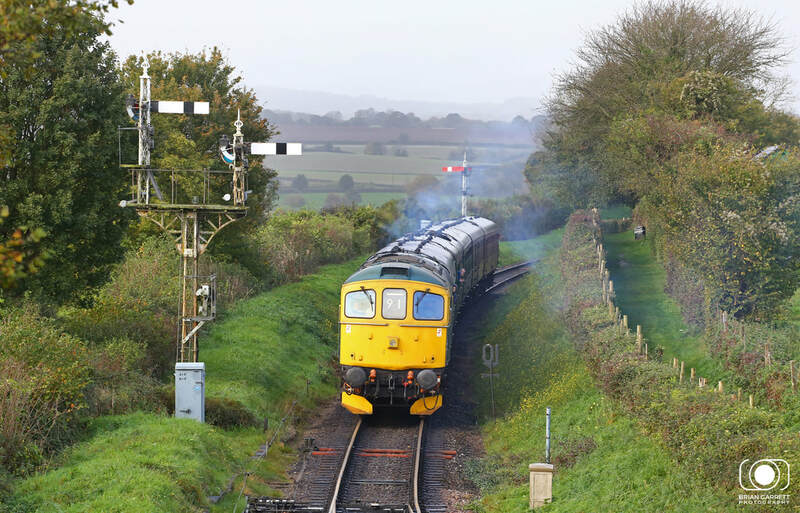 Network Southeast liveried Class 50 No.50027 'Lion' stands at Meadstead and Four Marks on the 21st October 2017 while working the 12:25 Arlesford - Alton service. BR Blue Class 33 No.33053 runs round its train at Alton having arrived with the 09:45 service from Alresford during the 2017 Mid Hants Gala. 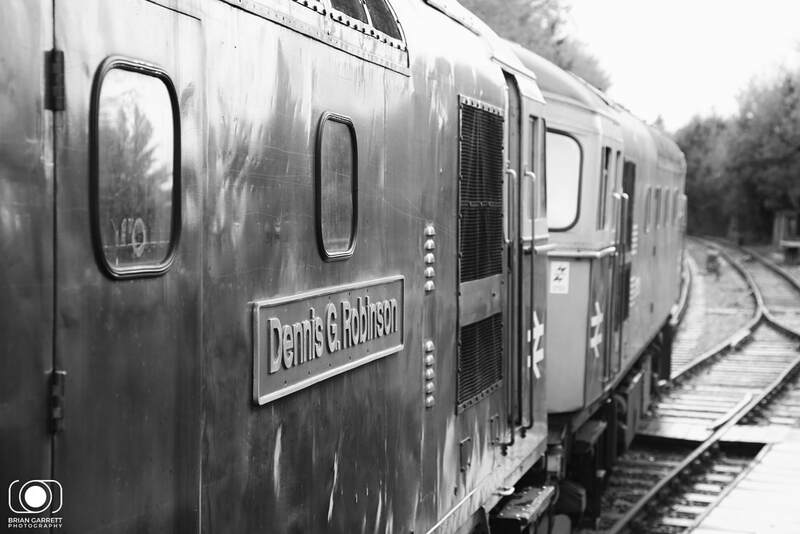 BR Blue Class 33's No.33053 adn No.33202 'Dennis G Robinson' stand at Alresford on the 21st October 2017 during the Mid Hants Diesel Gala weekend. 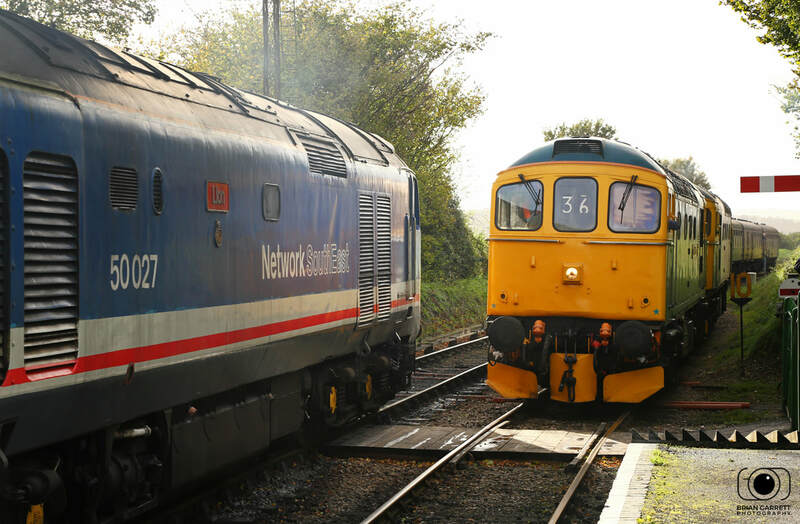 BR Blue Class 33's No.33053 and No.33202 stand at Alresford on the 21st October 2017 having completed their operational duties and wait to return to Ropley at the end of the 2017 Diesel Gala Weekend. 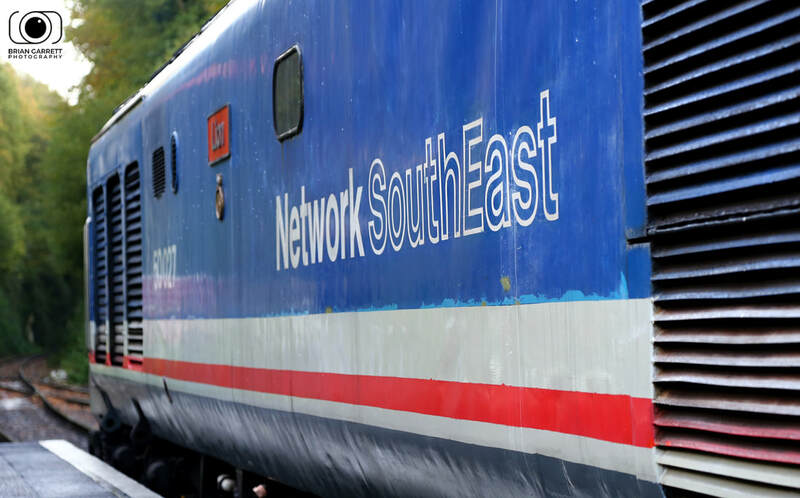 Network Southeast liveried Class 50 No.50027 'Lion' evoks memories of days on the Exeter - Waterloo and Western Reigon diagrams at Meadstead and Four Marks on the 21st October 2017.